Billy is mad about cowboys! 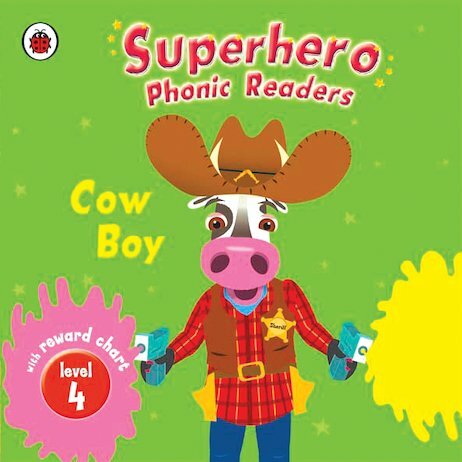 And one night he drinks a special glass of pink milk and turns into a superhero on hooves – Cow Boy! Cow Boy is amazing: he has pistols that shoot milkshake, and a long tail to tie up crooks! A bold, bright phonics reader from a fantastic Ladybird series, telling a gripping story in dynamic words. The book comes with puzzle pages to test comprehension, plus a motivational reward chart.